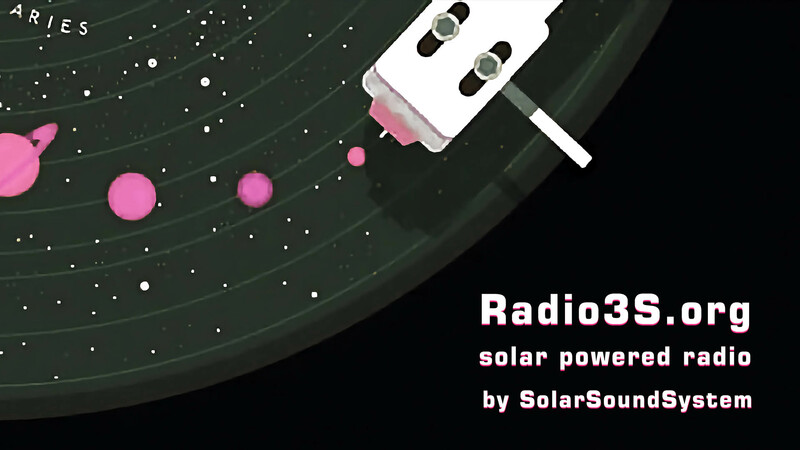 Radio 3S (Radio Solar Sound System), is the official SolarSoundSystem web-radio, running solely on solar energy (via Horus, based in Switzerland). We are online 24h / day and 7 days / week. We aim to build strong connections between culture, ecology, sacred frequencies and communities.